Anyone that has skied at Royal Gorge has probably appreciated a little break at one of the warming huts strategically located on the many trails at the resort. If you have taken advantage of these little shelters in the last couple of year, you may have noticed that they are a showing serious signs of wear and tear. It is probably safe to say that most of the huts have not received any upkeep for the last 5-10 years during the Foster-Syme era and the subsequent management by the bankruptcy receiver. Well now that Sugarbowl is managing the ski resort things have thankfully changed for the better. 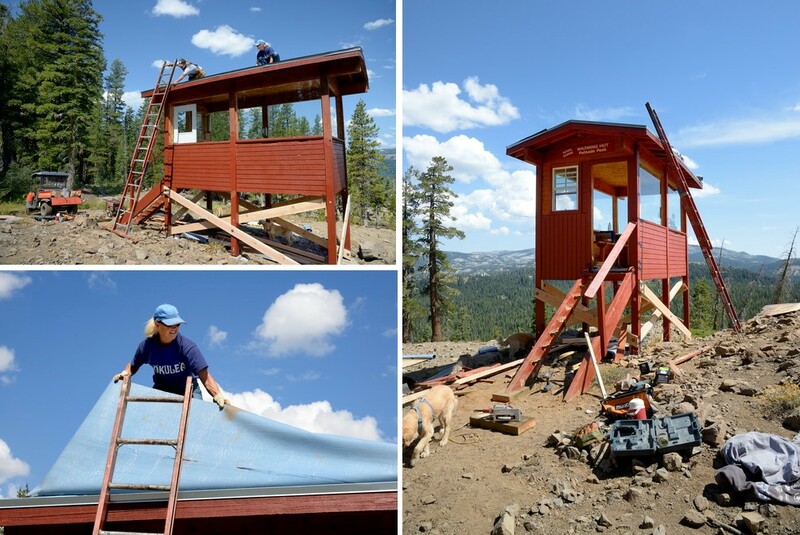 This summer a crew let by Jojo Toeppner, operations manager of Royal Gorge, has been out doing a complete renovation of the huts. That includes new roofing, new paint, new stairs and handrails and new stronger cross bracing. This will make it just that much better an experience when we all take to the trails this winter. Kudos to Sugarbowl.